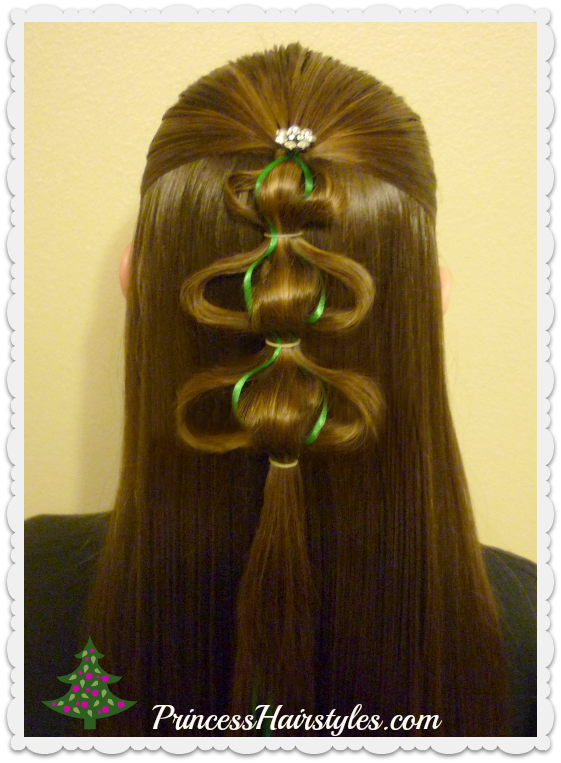 This half up half down 3D "Christmas tree hairstyle" is so fun and would be perfect for your next holiday occasion! We posted a simplified version of this Christmas hairstyle last year, which we called the "bubble braid Christmas tree." This year we have added some dimension to the tree by creating an extra loop in front of the braid (for a 3D effect) as well as some green ribbon for added color. At the top of the tree we have placed a sparkly star clip. You could add an angel, ornaments, lights, bows... whatever decorations you would like to your tree. Several hair elastics. 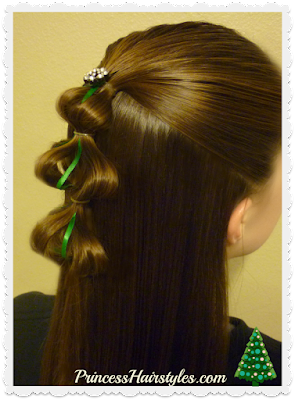 The amount will depend on the length of hair you are working with. Pomade, gel, hair wax, etc. to help control flyaways.